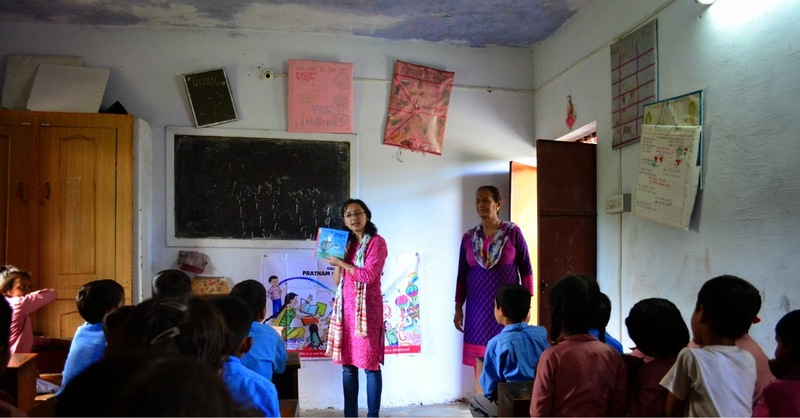 Shalini Garpha writes to us about the storytelling session that took place at the Government Primary School, Maiti, Dharamshala. Shalini Garpha is an ardent lover of children books (especially picture books). She also loves writing short stories and has penned two picture books and plans to publish them some day. Shalini is currently pursuing Masters in economics from Dharamshala. 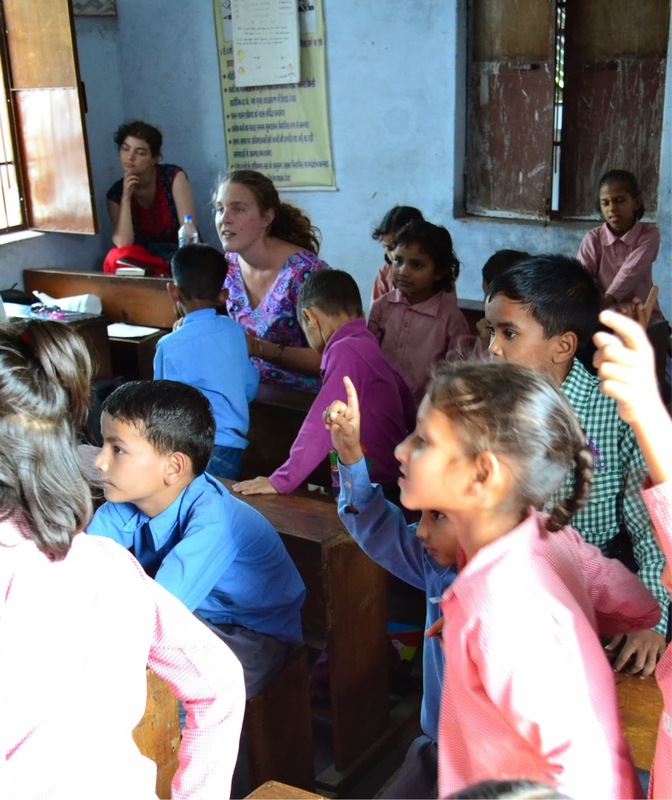 For students of Government Primary School Maiti in Dharamshala, it was yet another regular day at school until they had a surprise waiting for them at 1:00 pm. As Andrea and me, arrived with bag full of colorful chart papers, other stationary items and a story book with an eye catching illustrated cover, the kids soon realized­ today its more than just a regular day! Last year, I had volunteered for the International Literacy Day event as PBChamp alone, but this year it was with a fellow intern­ - Andrea from Spain. We both are working on the 'After School Program' project under Educare India­ - an NGO we were representing this time. The event began with a warm up session ­ a light introduction by kids, telling their name and class. 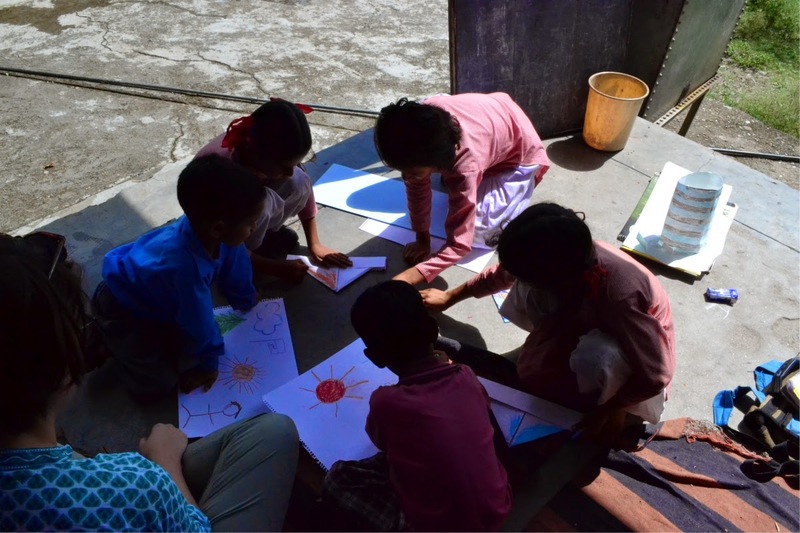 To build a clear picture of the story we started with drawing the picture of India on board and then locating the village 'Anjarle' in Maharashtra, Western India, and Maiti in Himachal Pradesh, Nothern India. We used geographical location, difference in forests, animals, crops, dresses to help the kids in identifying similarities and differences with Takloo's life and culture. For them to listen a story of a farmer boy like them but from a different place was learning and informative of a different culture than theirs. The common thing between Takloo and them was they were all farmer kids. While Takloo's father did 'Kapaas' farming, when we asked the kids about what farming there parents did, they were quite prompt to tell its maize, different vegetables and mango. With every twist in the story a lesson about important things in life was talked about and learned. We asked them what they would do with the salt if they faced a similar situation, they said they would it share with neighbors, gift it to friends but never waste or throw it. On being asked why, they all chorused­ 'Anaaj kabhi nai phenkte'! With all the funny noise making and laughing and shy smiles, the story ended with applause and cheering. A quick round of question and answer from the story followed afterwards. Most had been alert throughout the story and when asked a question, some would raise both their hands­ a bit too eager to answer! 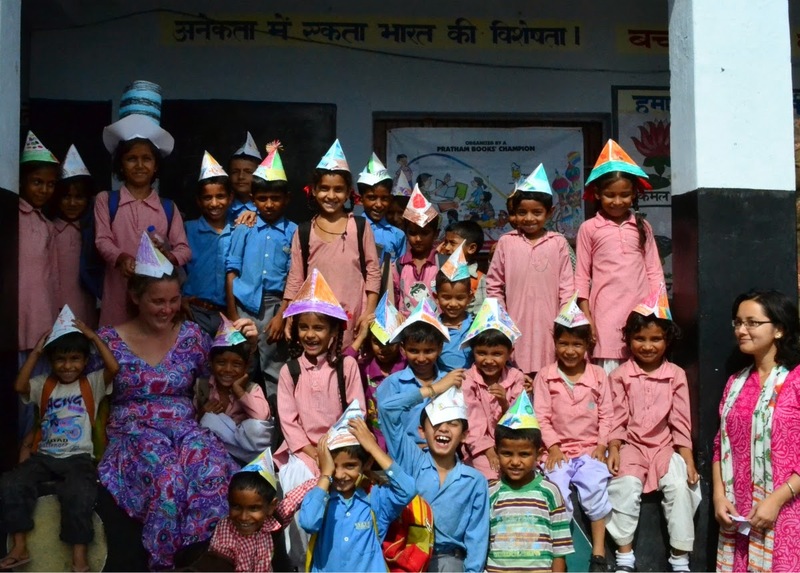 To make the event even more fun­filled, we had decided to help kids make some colorful hats for Takloo! In the pictures are two new interns for the same project, Lea from France and Rachael from London, and also to help us with the event. 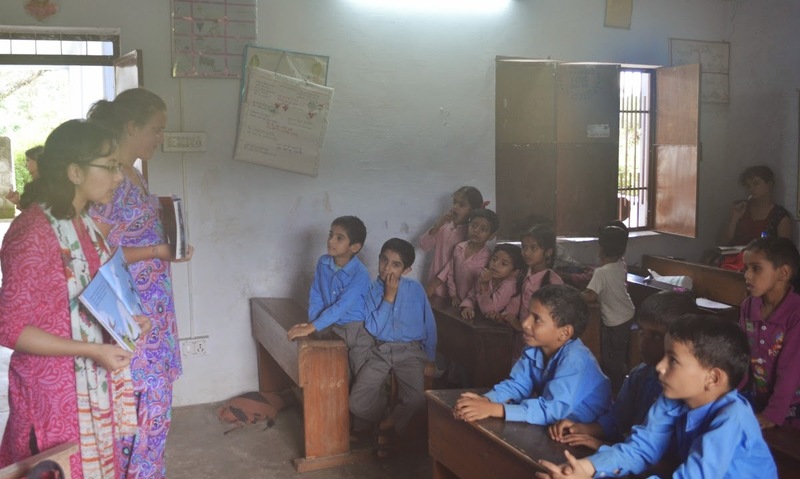 They were amazed to see the kind of work Pratham Books is doing to spread literacy among the underprivileged kids. Thank you Shalini and Andrea for spreading the joy of reading!